Bro... I aint even mad. You ask me if I'm mad? Nope. I aint even. Mad, that is. I can't even. I can'teven get mad. I have been hanging around you so long that I just let all of it go. You're not worth the worry. 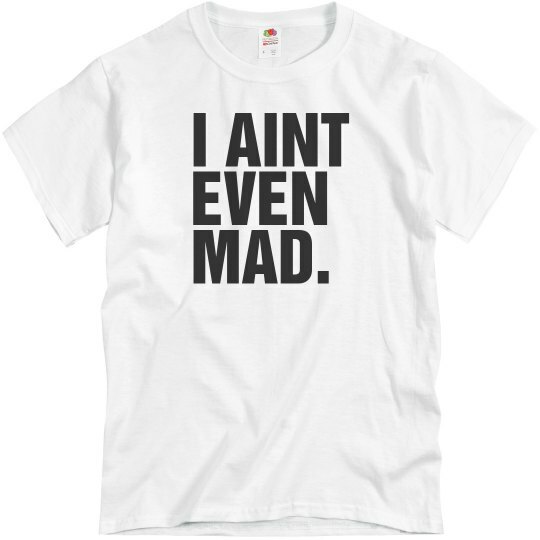 Custom Text: I AINT | EVEN | MAD.